Featuring a luxurious woodlands and spectacular fauna including this unusual horned rhino. This Royal Bengal tiger woods’, crocodiles, elephants, deer and over four-hundred varieties of chickens. 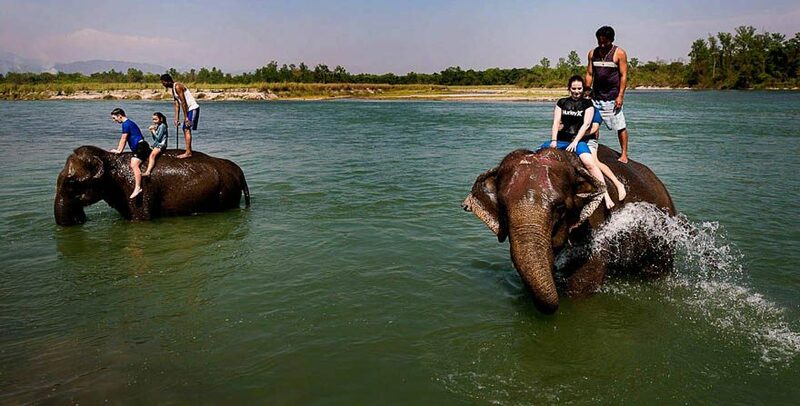 This Royal Chitwan National Park offers the greatest wildlife encounters in Asia. The particular Royal Chitwan National Park has been set up in 1973 and is also this most ancient National Park in Nepal. This particular national park started to be a global History Site in 1984. Throughout the late 19th one hundred year, Chitwan has been this private searching pre-book of the Rana Primary Ministers. The particular jungle of Chitwan has been a well-liked stay with between Nepalese royals. Through the late 1960’s individuals of rhinos and tigers with Chitwan received dwindled considerably caused by indiscriminate searching and poaching. The particular incident declared of Chitwan being a national park in 1973. It’s also the imposition of stringent actions towards poaching and unauthorized conversion of high for you to farmland. This made it easier for with escalating this fauna inhabitants. What adds to your journey is the sunset view at the bank of Rapti River; nothing could have been more tantalizing! So get ready to explore the dense forests in Chitwan National Park! Bharal Adventure Team is here to make your trip a memorable journey! Day 03 - Visit Elephant Breeding Centre and transfer to Pokhara/Kathmandu. 16:00pm – We take a tour to a nearby ethnic Tharu village. Then, we visit the National Park Visitor’s centre. It is followed by the sunset view from the bank of Rapti River. 19:00pm – You will be treated by a cultural dance of Tharu community or slideshow presentation on almost everything in Chitwan. Visit Elephant Breeding Centre and transfer to Pokhara/Kathmandu.